Q. It seems when I password protect a section, people can still access it. What am I doing wrong? A. Password protections on sections do work, but not instantly. If others are sharing the notebook with you, there may be a period of time between which you protected the section and their image of the notebook refreshes with the server. If they are working offline and have not synchronized their notebooks in some time, the section will still be open until the connection is re-established. For those working online or who are at least connected to the server/internet and refreshing frequently, the protected section should only remain open for a few seconds or minutes. If you have information that is confidential, I would recommend you put it in a separate notebook and create a link to it. If someone does not have the proper access to open the notebook, the link will not work. Q. Can I create a notebook that’s shared with only a few people able to change it? A. When you share a OneNote notebook, the dialog box gives you the option for the people you’re sharing it with to either view or edit the file. If you want to have only a few pages accessible, I’d suggest offering no access to the notebook and simply emailing the pertinent pages to those who should see them, but shouldn’t have any additional capabilities. Q. 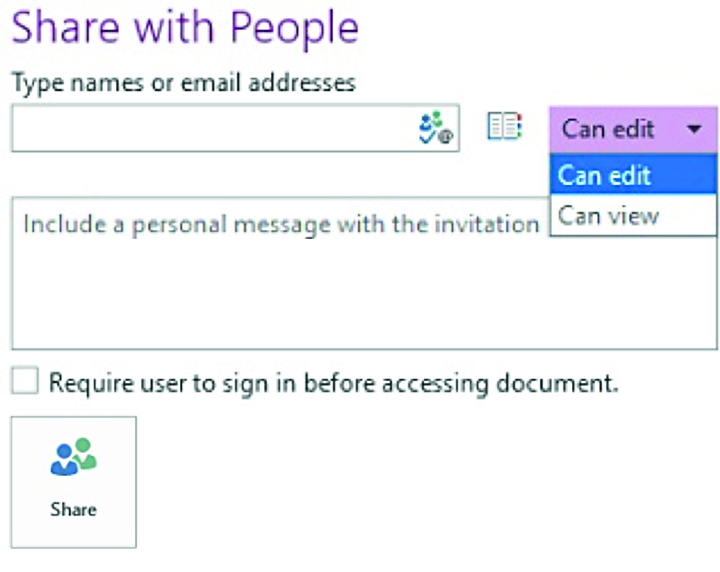 How do I keep someone from updating other people’s items on a OneNote page? A. 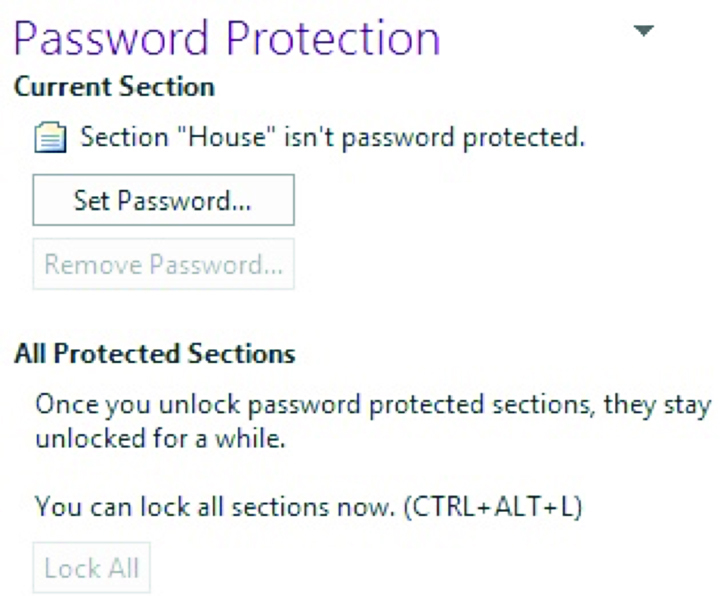 Unfortunately, other than by the section or by the notebook, a finer level of access protection doesn’t exist in OneNote. When notebooks are stored on OneDrive and in some cases network drives, the identity of the person who makes an edit should be visible. However, as soon as another update is made, that first modifier’s information disappears from the page. You can also view the history of updates on the notebook. It’s best to go over the rules of the notebook with collaborators and supply them with a “How to Use this Notebook” section.